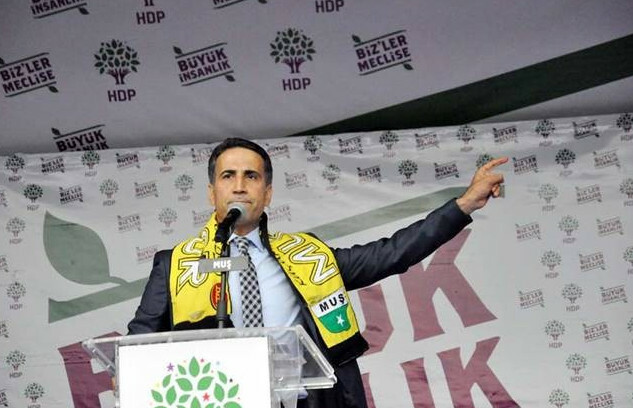 Pro-Kurdish People’s Democratic Party (HDP) parliamentary group deputy chairman and Muş deputy Ahmet Yıldırım received a prison sentence and a ban from politics in a trial for insulting Turkish President Recep Tayyip Erdoğan. According to a story on the Gazete Duvar website on Monday, the Muş 2nd Penal Court of First Instance handed down a one year, two month jail sentence and a political ban to Yıldırım in its decision on June 21. “He said ‘hack dictator’ and I said ‘hack sultan’ [about Erdoğan]. He [Kılıçdaroğlu] criticized [Erdoğan] more, even targeting his honor; however, a decision of no prosecution was made [by the court]. My words are political criticism,” he said. This article originally appeared in Turkish Minute on July 3.